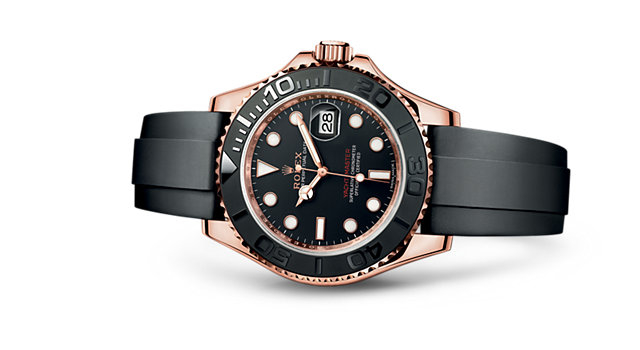 After seeing Alpha M’s beautiful grail watch which was the Rolex Yacht-Master Everose Gold, it definitely influenced me to consider one(yeah right…in my dreams). I’m drawn to the aesthetics of it and for me personally I like to vary the look in my collection and would prefer not to have too many overlaps. What’s unique about this look is the rose gold case, the black bezel and a black rubber strap making it look incredibly sporty and elegant. Since the price is way too out of range for a lot of people, naturally I would find other alternatives with a similar look and feel. Here’s a list of what I think is a good affordable alternative to it. Tell me what you think in the comments section below. Steinhart is doing its thing again. 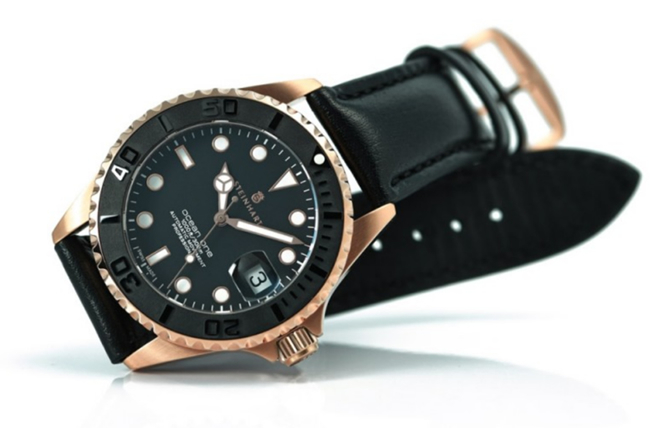 Looking by far the most similar to the Yacht-Master, it comes with a reliable Swiss ETA 2824-2 movement. The 39mm pinkgold case has a screwed down crown and is water resistant to 300 meters. The double anti-reflecting coatings sapphire glass also has a date magnifier and a ceramic bezel insert. The indices and hands are coated with Super Luminova BGW9 lume and is paired with a 20mm black leather strap. 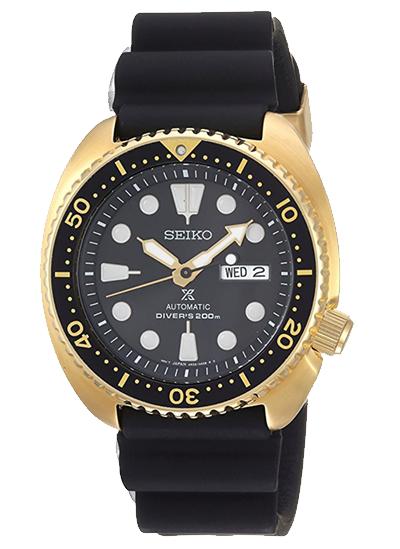 This Seiko watch is also nicknamed the Turtle because of its cushion case shape. It’s hugely popular and now it has a gold tone case. This automatic watch uses a 4R36 movement, has day and date display at 3 o’clock, awesome Lumibrite lume, screw-down crown and is water resistant to 200 meters. It has a Hardlex crystal and is 45mm in diameter and 13.3mm in thickness. This is more of a diver chronograph watch but is still very eye-catching with it’s rugged look. 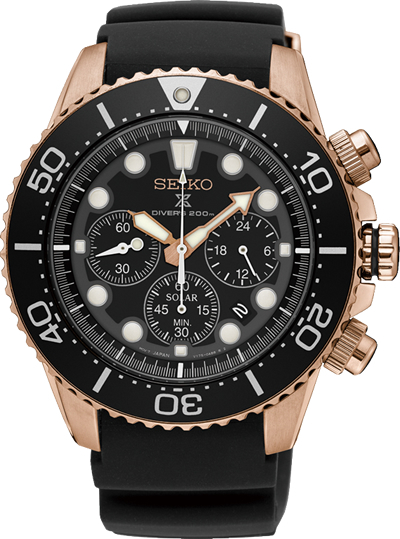 The case is stainless steel in rose gold coating matching the hour and minute hands and also the Seiko logo at the dial. 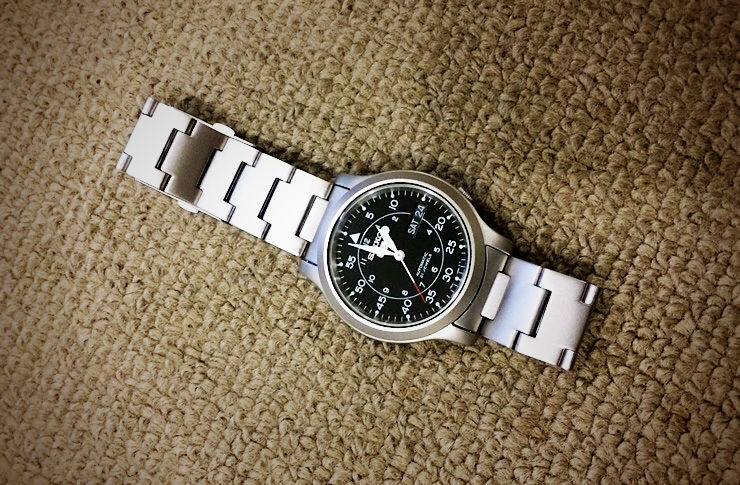 This is a 43.5mm diameter, 13mm in thickness watch with screw-down pushers and is water resistant to 200 meters. 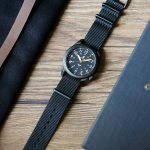 It’s powered by a solar V175 quartz movement which makes this a reliable beater and is paired nicely with a black rubber strap. 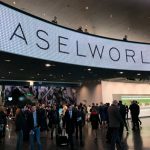 With radio-controlled watches dependent of limited radio transmitters around the world, we see more watches move to GPS signals from satellites to adjust time automatically based on your location. 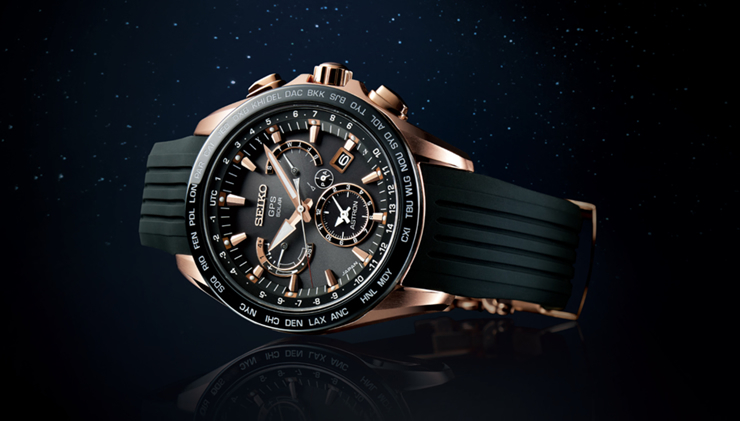 This Seiko Astron is rather large at 45mm diameter and 13.3mm thick. It’s powered by the 8X53 solar powered movement which can last for 6 months if the sun went down. It has a sapphire crystal and is 100 meters water resistant. Other features include perpetual calendar, world time, dual-time, etc. The case is a nice rose gold finish, a black world timezone bezel and paired with a black rubber strap. 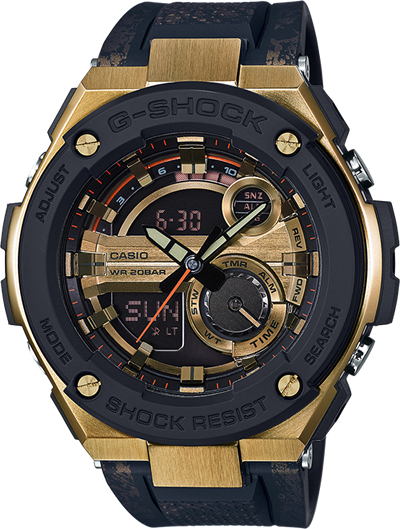 This affordable G-Shock looks rugged and cool with a slew of features like solar powered, LED light, shock resistant, radio signal time calibration, world time, stopwatch, etc. Part of the G-Steel series, this is a rather large watch at 59.1mm(lug to lug) x 52.4mm(diameter) x 16.1mm(thickness). This particular one comes in a tough black leather strap and has a more classic look with 3 subdials. 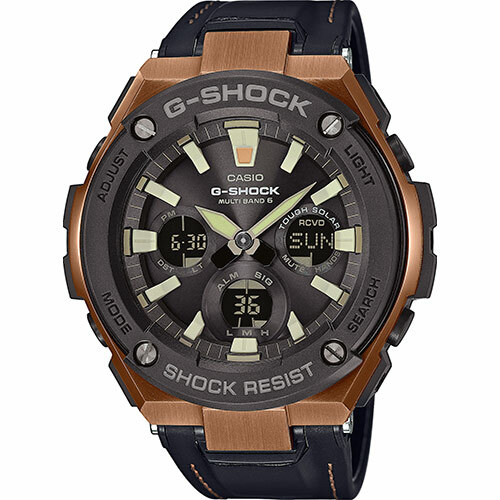 This is another G-Steel series but it’s powered by normal batteries instead. It has LED light, world time, stop watch, 5 daily alarms, auto-calendar and is also 200 meters water resistant. The case looks to be more towards yellow gold instead of rose gold and is paired with a black rubber strap that is smeared with some colors to create that dirty rugged look. It seems to have the exact same dimensions as the GST-W120L 59.1mm(lug to lug) x 52.4mm(diameter) x 16.1mm(thickness). This is a special 35th Anniversary release under the Gold Tornado series and as the series suggests, there’s a lot of gold tones including red accents including the back of the band. 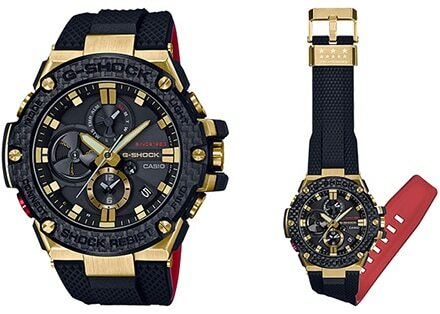 I see this including the G-Steel series is a little similar to the Hublot watches. Nevertheless this is a stunning looking watch with a carbon fibre bezel with Bluetooth time-sync with your mobile device, dual dial world time, solar powered, stopwatch and water resistant to 200 meters. Limited series with the 35th year anniversary engraving on the casebook. 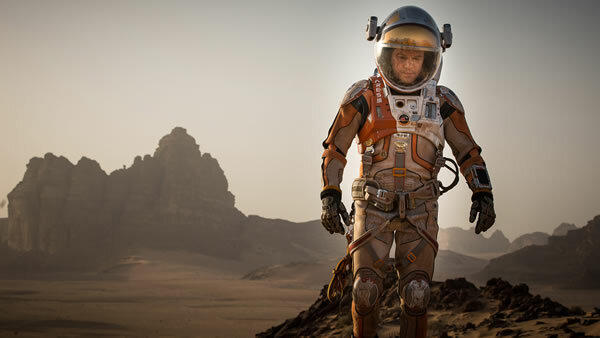 Dimensions are 58.1mm(lug to lug) x 53.8mm(diameter) x 14.1mm(thickness). I got interested in that watch through alpha’s video aswell and after that one video you mentioned I finally know what whatch that is. 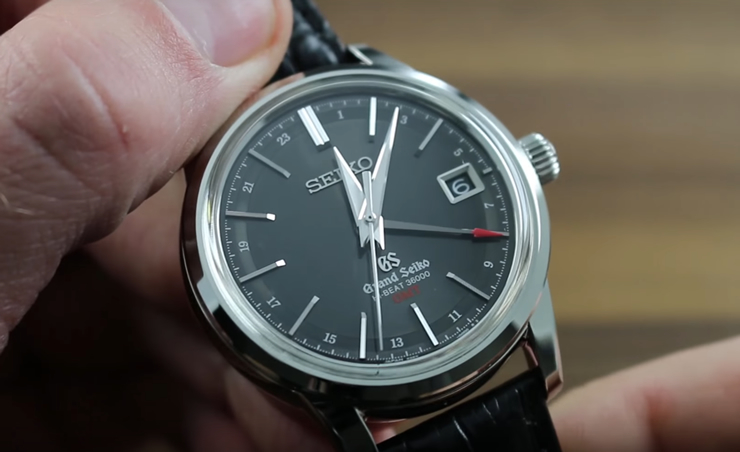 Coincidentally I recently saw the Seiko 5 SRP560J1 on eBay, which in my opinion is the best homage and most look-a-like to the Yacht-Master everose gold. Hey, thanks for tip. Guess I’ll add that in the list as well. There’s also the latest one from Steinhart to check out. Check out the Bulova 98B262. Awesome recommendation. Thanks for sharing.